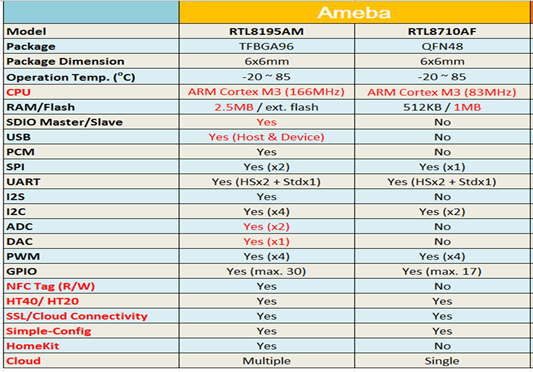 Ameba RTL8710AF is a highly integrated single-chip with low power consumption mechanism for IoT (Internet of Things). It combines an ARM®Cortex™-M3 MCU, Wi-Fi and provide a bunch of configurable GPIOs which are configured as digital peripherals for different applications and control usage. 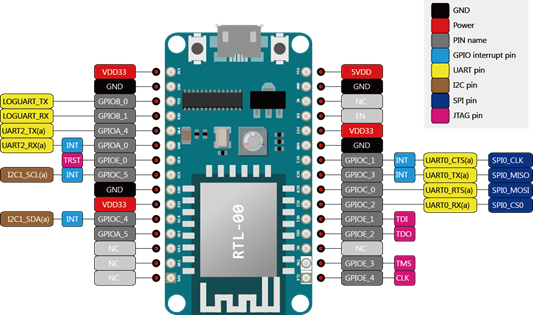 Ameba RTL8710AF Wireless Dev Board is a convenient development kit for makers. 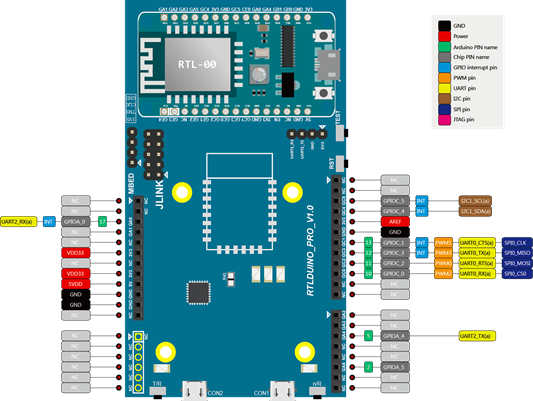 It separate into 2 boards, the small one- RTL8710AF WiFi Board on the top is main mother board with all functions included, and the other on the bottom is similar to Arduino UNO form factor size which provides the development interface CMSIS-DAP mode and J-LINK debugger mode. Ameba, a Realtek semiconductor Corp. designed Wi-Fi SoC, named after the eukaryotic organism which has the ability to alter its shape and fit in. Like its name, Ameba can be applied to almost every IoT applications. This single of chip integrates Wi-Fi, MCU, and rich peripherals like high-speed, serial interface, analog interface. It is the best compact size and cost-effective chip for low-energy Wi-Fi IoT SoC. Ameba Board is Arduino compatible. It supports Windows XP/7/8, 32 and 64 bits and MAC OS. With officially supported Wi-Fi, NFC, Low power, UVC camera and standard Arduino libraries, you can easily implement your IoT prototypes.